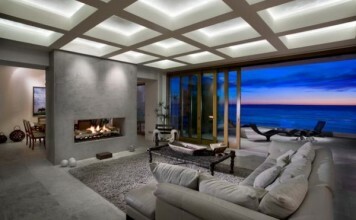 If a home is a fort for the family, the living room certainly is the heart of it. This is the space where everyone in the family come together and weave memories and live perhaps one of their best moments. Since a lot of time is spent in these spaces in every house, a lot of attention and detail is ought to be shown in how it looks and feels. 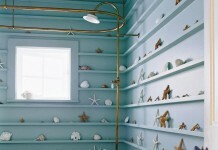 This can be done in a cost effective yet aesthetically tasteful way by the use of quirky hacks and tricks. 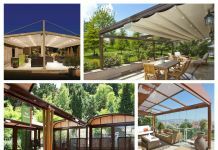 These not only lifts up the feel of the space but also adds a very personal layer of likes, dislikes and tastes of the people residing in the house. Let the art do its magic. 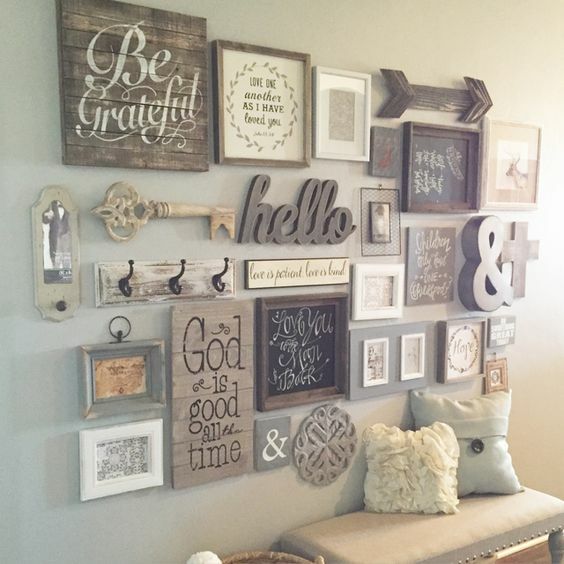 Bye bye boring walls. Recycle and reuse old wooden planks and write your heart out on them. Art for the walls of the living does not need to be expensive or fancy but can be one that speaks for the people and their preferences. It can be a favorite quotation of a picture frame of the family its self. 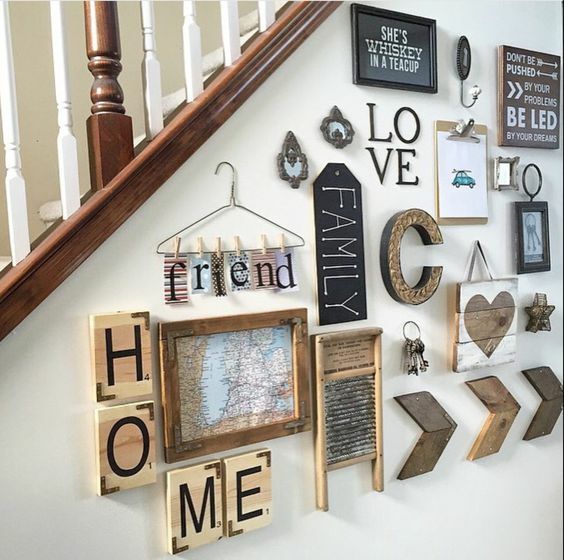 One can also showcase their own creative side by doing DIY art for the living room wall with easily available resources. Having fun with concave and convex mirrors to change perception of space. Mirrors give an illusion of space being bigger and beyond of what it actually is. 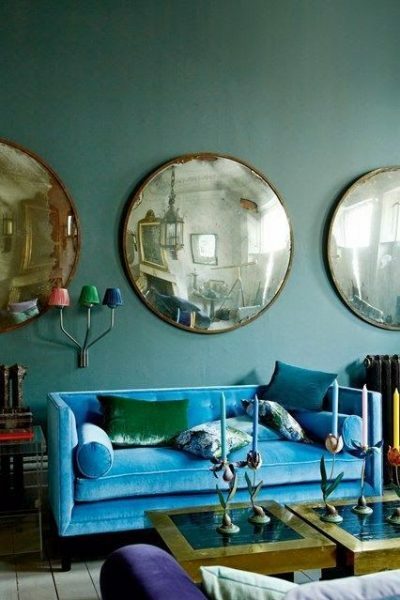 Hanging mirrors reflects the room back in into its self. One can also use the mirrors in convex or concave shapes to make them a piece of art while at the same time making the space feel larger. 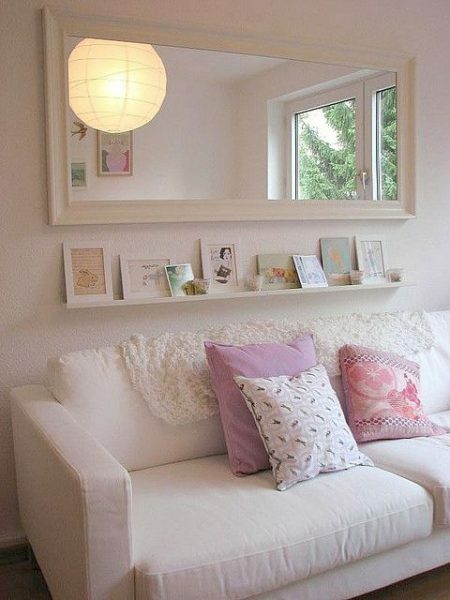 Simple mirrors can be used in variation of sizes or a stand alone one can be placed each giving their own features to the space. Perfect visual texture in the room with this motif rug. 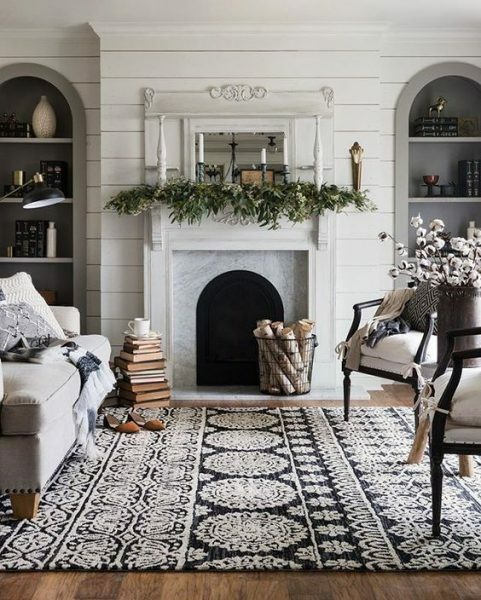 By placing a floor rug in the living room the space can be delineated and is helpful in adding visual texture to the room. Using traditional motifs and tribal prints, a more indigenous feel to the space can be attained. 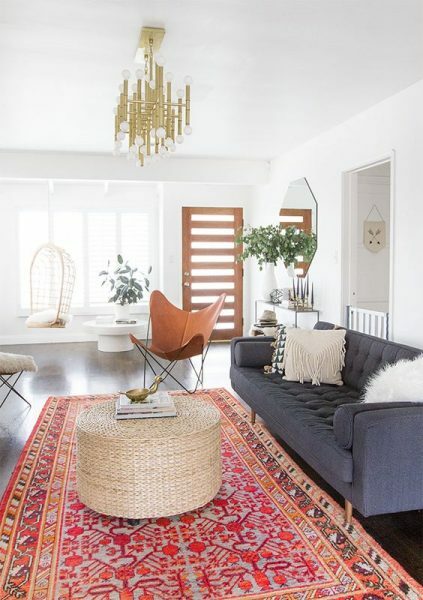 Rugs of brighter colors in neutral palette rooms can bring out a contrast which can help the room liven up. Living room with nature settling in very well. 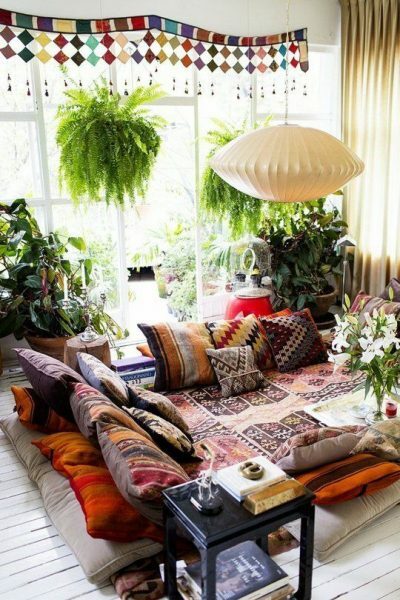 Perhaps one of the best ways to make a room feel better is to let nature inside it. 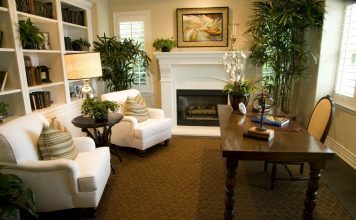 By making the living room a sanctuary for plantation and greens, the environment feels more earthy and is not only healthy but also soothing to look at. 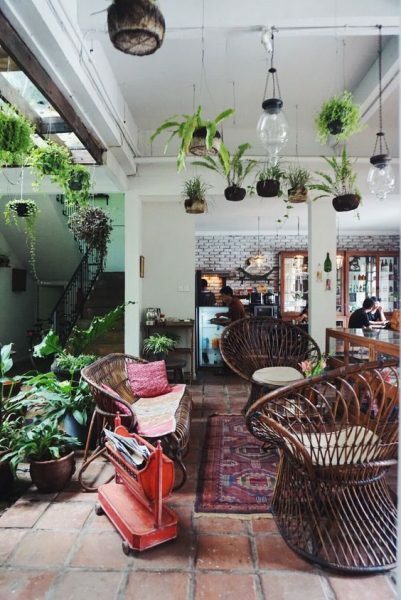 Plants can be placed not only on the ground, in smaller pots on ledges and tables but also hung from ceilings, walls and lintels of the room. 5. Throw in some pillow cushions. 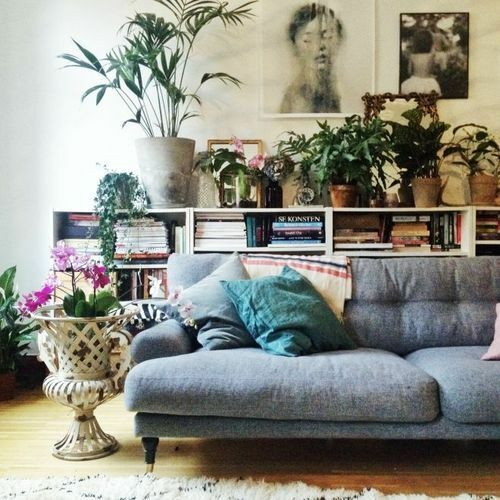 This is one of the best hacks to make your living room get that extra kick. 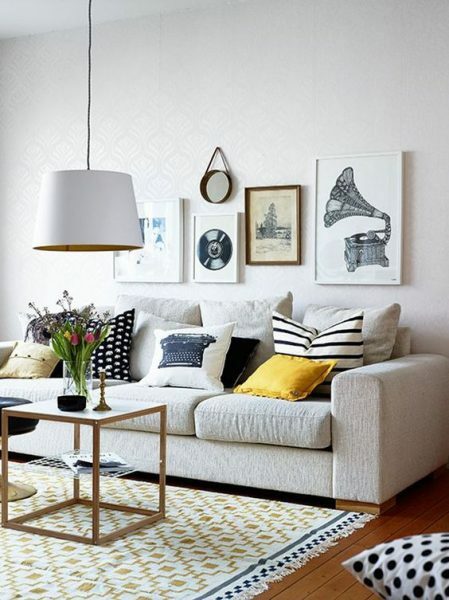 The old sofa can look fresher just by using brighter and patterned cushion pillows. 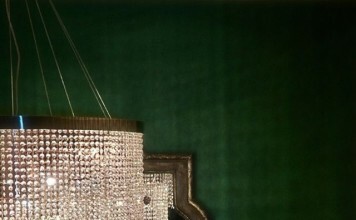 The recent trend of having visual and tactile textured cushions add that extra detail in the room. These pillows can be of various sizes and dont even have to be of a certain family of colors and textures; a mix match of them often works better by hinting away a formal feeling from the most casual room of the house.